Facebook 7 years ago, was not the Facebook we have now. They’ve given social media marketers everything we could ever wish for! Here are a few of my favorite “not so secret” menu items from Facebook . Let’s say you have a really great idea for a post, but you don’t have your creative juices flowing yet. Type out your idea as a status, but click “Save draft” instead of “Publish” and come back to it later on your page or in the Publishing Tools tab. Your followers may not want to comment on a status for the entire world to see, but they may send you a message instead. When selecting the “Get Messages” option, Facebook will populate a “Send Message” CTA button for your audience to easily get in contact with you. Polls almost make it too easy for your audience to interact. You’re not asking them a short answer or critical thinking question. It’s a multiple-choice answer. This can make for fun non-business related posts; offering a great opportunity to get to know your followers and their interests. It could be anything from “Who’s going to win the big game this weekend?” to “We want to launch a new product. Do you prefer A or B?” This can be a foolproof way to get your customers engaging with your business on Facebook. 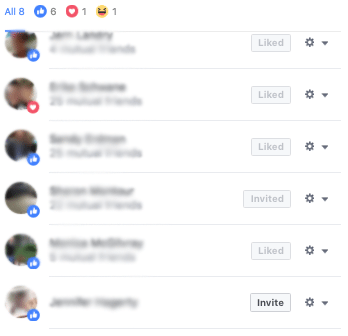 “Invited:” meaning you have invited them to like your page, but they haven’t done so yet. It is a good rule of thumb to skim through your Facebook posts at least once per week and see if there is anyone you left out and invite them since they clearly are interested in your business anyway. If you’ve got a video ready to go, but just need to add some music or sound effects to it, check out the Sound Collection. You’ll find thousands of royalty-free music tracks and sound effects that have been pre-approved to use on Facebook or Instagram videos. We were able to A/B test before, but Facebook has now made it foolproof. 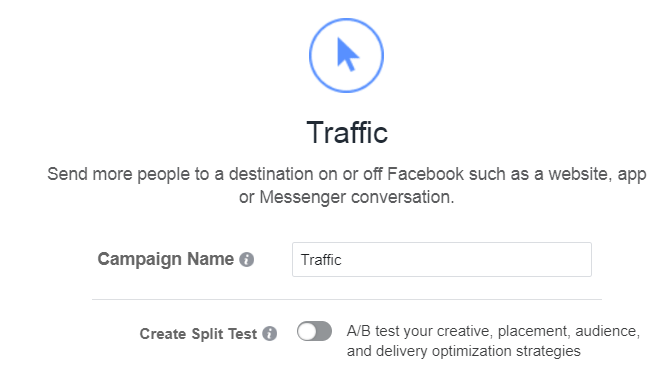 When setting up your campaign, you can turn on “Create Split Test.” This way when you set up your campaign, Facebook makes it even easier to set up and monitor your A/B testing. After a few days it will even select the winner for you! Although we’d recommend making sure it selected the correct winner based on the KPIs you’re tracking. 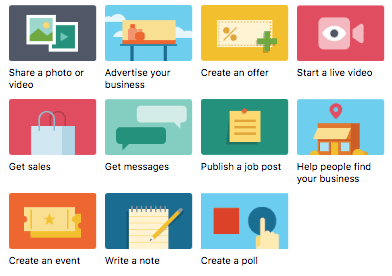 Take a look at all the post insights you can! 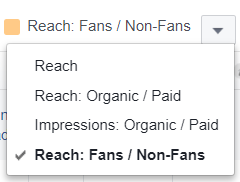 In the insights tab, click through the different dropdown options for Reach and Reactions, Comments & Shares to really see who is engaging with your posts and how they are engaging. Canvas ads are an awesome way to completely takeover the mobile newsfeed. As you can see, this ad takes up the entire mobile screen. When a user clicks on one of the images it takes you to a landing page within Facebook. This is all created in the Ads Manager.